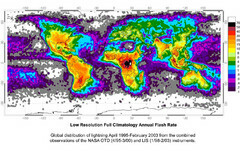 Map of global lighting strikes from April 1995-February 2003. 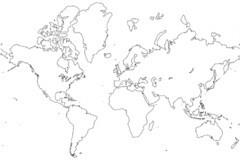 Map by NASA. 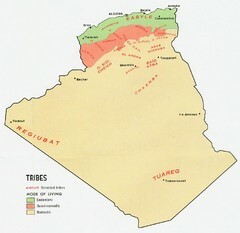 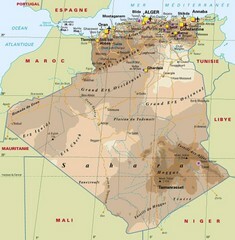 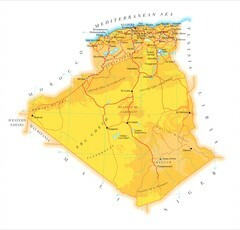 This is a large map of Algeria in color showing cities, roads, elevations.